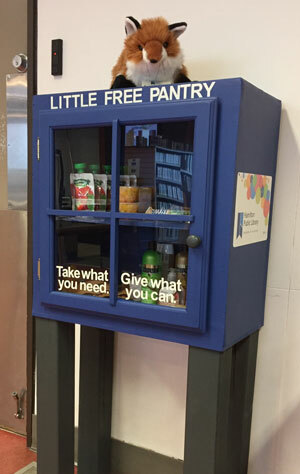 The Little Free Pantry has moved to our Concession Branch. The Little Free Pantry is like the Little Free Libraries that dot the city, however, instead of books, the Pantry is chock full of food and hygiene items, as well as winter accessories and school supplies. Anyone who needs items from the Pantry is welcome to them, and anyone who wants to donate can do that too. Donations such as canned foods, bottled water, toothbrushes, shampoo, soap, diapers, hats, mittens, scarves and gift cards for grocery stores are welcome. If you have any questions about the Little Free Pantry, please contact Concession Branch staff at 905-546-3415.